The GBC College for Leadership Development is ISKCON’s official leadership school where potential candidates will be trained for positions of top leadership in ISKCON. Srila Prabhupada wanted the GBC to lead ISKCON through good governance and to establish global policies. 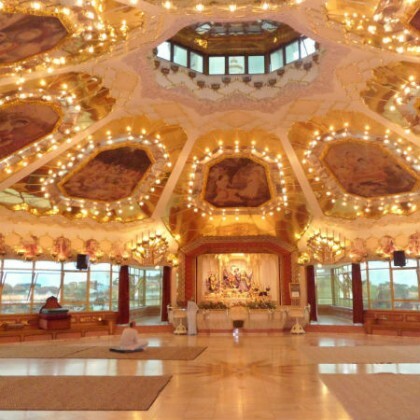 He also wanted ISKCON to expand, thrive, be well-rooted, and to serve the needs of its devotees and the public alike. 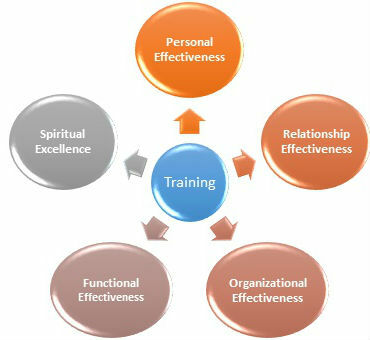 To achieve a uniform high level of service there is a need to standardize training, service descriptions, standards of performance, etc. among the various leaders (Regional Secretaries, National Secretaries, etc.) that are already involved in overseeing different parts of the world, and for future upcoming leaders within the movement. 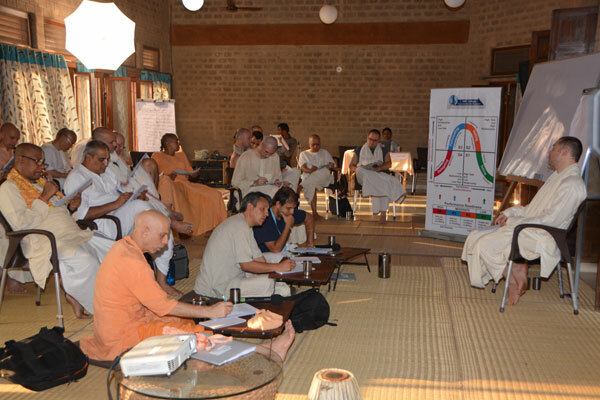 To help ISKCON leaders to imbibe Srila Prabhupada’s mood, vision, and priorities and to train them in vision, skills and techniques needed to develop and expand a world class movement. “There is need for intelligent young men to train them up as future leaders and preachers to go all over the world for spreading the messsage of Lord Chaitanya Mahaprabhu” – Letter to Satsvaroop and Hrdyananda, 9 Jan, 1973. So they can thoroughly evaluate and understand Srila Prabhupada’s instructions as well as the intent and context of those instructions. So they can have effective communication skills, sound decision making skills, and serve with integrity and accontability. So they can be transparent in their dealings and thus build a sense of trust throughout the ISKCON Movement. So they develop a culture of passing down institutional memory thus creating best practices for the organization and forming a long-term consistency in all levels of leadership. 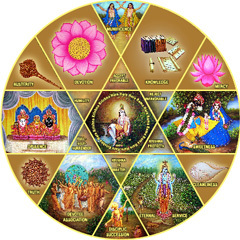 So they can live in harmony and can balance the duties of leadership, management and personal spiritual and material development. So they create a sense of deveotee care, unity and camaraderie among fellow leaders, management and all community members. 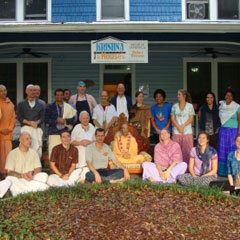 So they are enthusistic about spreading Krishna Consciousness all over the world. How do I enroll in the college? takes place. Selected candidates are invited to join the program. Will students become GBC members? devotees and help them feel happy in Krishna consciousness. likelihood for some of them to become GBCs is very high. 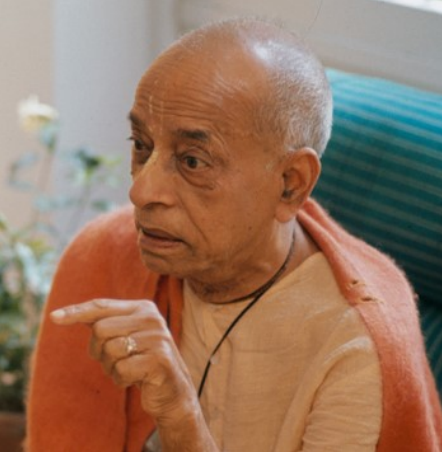 When His Divine Grace A.C. Bhaktivedanta Swami Srila Prabhupada arrived at Boston’s Commonwealth Pier on September 17, 1965 few Americans took notice — but he was not merely another immigrant. He was on a mission to introduce the ancient teachings of Vedic India into mainstream America. Before Srila Prabhupada passed away on November 14, 1977 at the age of 81, his mission proved successful. He had founded the International Society for Krishna Consciousness (ISKCON) and saw it grow into a worldwide confederation of more than 100 temples, ashrams and cultural centers.